Aquila Management and its co founded hook biz, the largest social network and marketplace for businesses invites you to meet its international team at CeBIT Germany, in Hannover, from 16 to 20 march, where we will launch new hook biz features improving the experience of doing business on this unique global social business network. In this year’s edition, hook biz focuses its strategy on People. The platform revolutionizes the business world through interpersonal relations of trust, transparency, competitiveness and proximity. “People are what makes business move and therefore we focus on them. Our goal is to create strong H2H relationships for better and profitable businesses, no matter their dimension or location. At hook biz, entrepreneurs and companies can meet, share innovation, knowledge, and build strong business relationships in a free accessible marketplace driven by demand, saving time and money”, explains Carlos Snel, COO of hook biz. The whole hook biz team, from offices around the world, will be present at CeBIT Germany. They can give you all the information you need about business development and expansion through our business social network and the new hook biz features. Open Solutions, founder of hook biz and a renowned international operating ISO 9001 certified Open Source integrator will also be present as premium partner of Aquila Management. What are you waiting for! Come and meet us all at CeBIT Germany! hook biz, founded late 2013, aims to enhance the experience of doing business for companies within their territory and internationally. It enables every sized companies which are seeking to internationalize their business to trade without borders. With an initial investment of 300.000 Euros, hook biz is available in sixleading languages to boost business opportunities around the world. Its interaction model is procurement based, facilitating the pursuit of new business for companies. hook biz is a free, intuitive and dynamic social network for business. 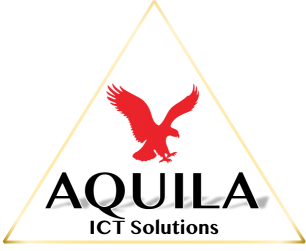 Aquila Management's vision is to provide clients equal chances to compete globally with the highest innovative and affordable solutions enabling our clients to achieve their full potential by working and being responsible together and thereby Aquila to become the most regarded client centric company. We believe we must provide our clients with innovative solutions. Therefore, we will use our drive and passion to be on top of the innovation. Our skills, experience, resourcefulness and problem solving abilities will provide a creative, practical, cost effective and aggressively competing innovative solutions for our clients. We promise to run the extra mile for our clients offering the best service and product in the industry. We promise to be innovative. We promise to be independent and transparent in our communications. We promise to build lasting relationships, built on a pillar of trust. But above all we promise to provide you the most innovative software in the market for an affordable price. Aquila ICT Solutions Holding B.V.
Aquila ICT Solutions & Consultancy S.R.L.